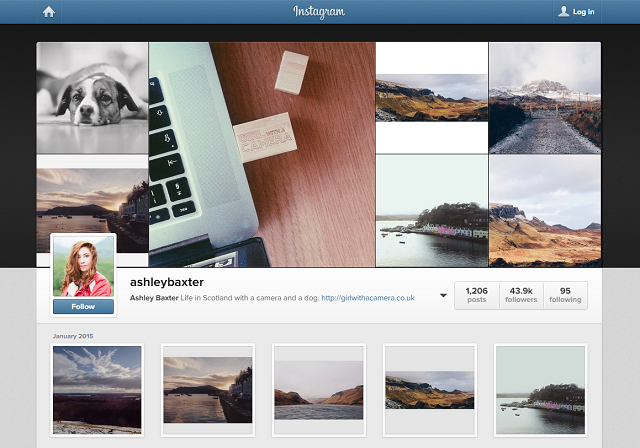 Ashley Baxter is an unusual combination of insurance entrepreneur and photographer. 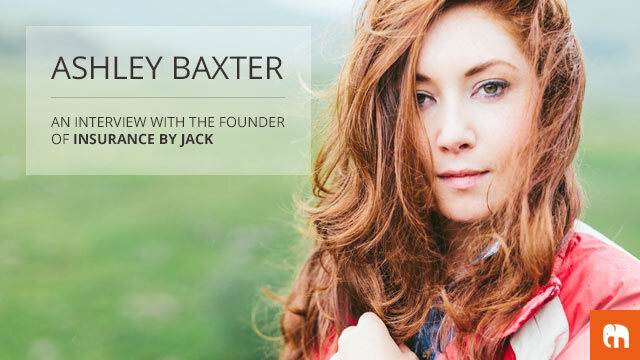 Ashely is the founder of Insurance by Jack, which provides business insurance to creative professionals. She’s also a photographer under the Girl With A Camera alias. 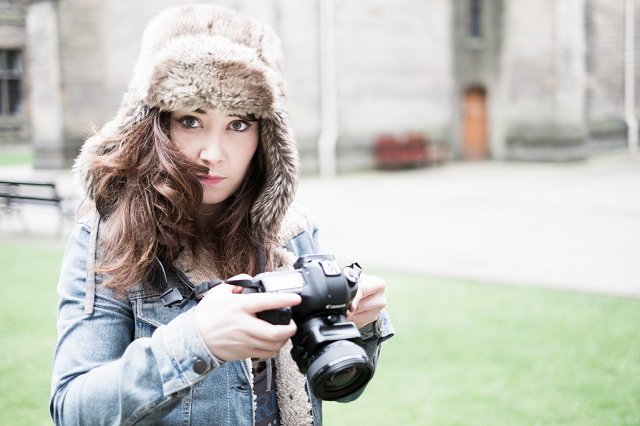 Ashley has photographed campaigns for clients ranging from Glasgow City Marketing Bureau, Young Scot and Citizens Theatre, as well as doing wedding photography in the summer months. When she’s not busy being an entrepreneur she spends time learning how to program and also records a weekly podcast where—alongside her co-host, she discusses her journey in creating passion-based businesses. Ashley has set up & promoted numerous websites over the years – both personal & business sites – so Easyspace decided to have a chat with her. My background is in music, but after I left college — where I’d studied a practical music course — I inherited my dad’s property insurance business. I wasn’t passionate about insurance or property, but decided to make the most of it and see what I could learn. Along the way, I realised how much I loved technology and the web, but technology in the insurance industry is pretty backwards. This is why I’ve stuck it out for almost 10 years now, because I think there’s room for improvement. Q2. 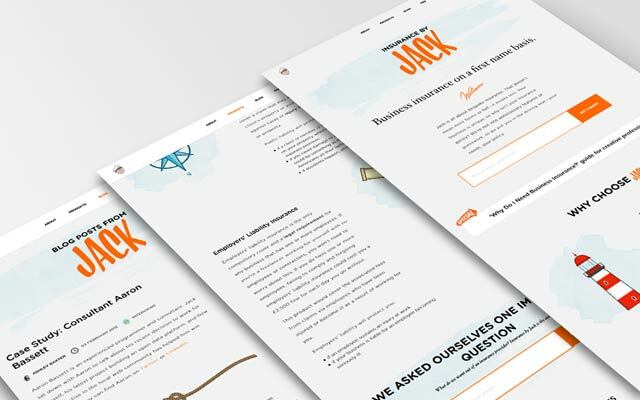 Last year you launched a new website for your business Insurance by Jack. Tell us about what was involved in creating a new design for the site. I’ve moved away from property insurance now in favour of business insurance, which is why Insurance by Jack was created. I outsourced the design and development to an agency, Simple as Milk. I knew I wanted the site to look and feel different to other insurers. I didn’t want that corporate, stuffy feel most other insurers have in a bid to appear ‘trustworthy’. Personality was the no.1 goal! I gave Simple as Milk a lot of creative control—they have a whole team of designers, developers, illustrators. I conveyed how I envisioned the Insurance by Jack brand (personable, human, different), and created a mood board of other sites that had elements I’d like to incorporate, then let them work their magic. Midway through the design process, I got cold feet and asked Simple as Milk to play it safer, but they quickly reminded me of my goal—to stand out amongst insurers! Q3. Insurance often has a stuffy, serious, traditional image to it, with a lots of large, established companies. What do you do to set yourself apart from your competitors? How do you promote Insurance by Jack? Firstly, I think it’s important people see there’s a real person behind Jack. How many insurers have an identifiable person behind the company? They’re usually faceless corporations, or masked with meerkats and opera singers (I do like the meerkats, though). Secondly, and this is just a silly example, last night I received a push notification on my phone at 1AM from a potential customer asking a question on Twitter. I opened up Twitter and replied. You’d normally wait 24-48 hours to get a response from a big business. I think being small and caring sets Jack apart. I don’t think of it as selling insurance, I think of it as helping small businesses. If your office is burgled and your iMac stolen, the last thing you want is an insurer who makes the process more stressful. In terms of promotion, occasionally I’ll get invited to speak at conferences and meet-ups, which gives me a chance to put a face to Jack while promoting the business. I also co-host a podcast, which lets me get into the challenges I face building my business. People can relate to that. 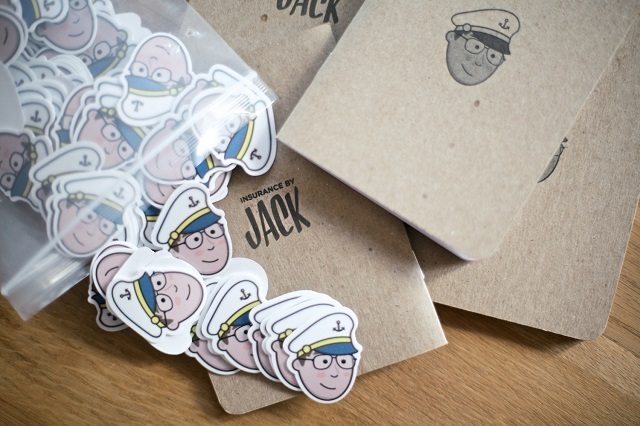 In fact, the podcast has been Jack’s no.1 source of new customers. Basically, being a small business means getting creative with my budget. I try to avoid PPC and other expensive black holes. I’ll try smaller, cheaper experiments like offering a free email course, blogging and public speaking. Q4. You recently hired a team of designers & developers to create a new quoting and buying system for your insurance website. Why did you do this, and how difficult was it finding the right people to do this, and what’s it been like managing them? Yes, it’s my dream to improve the quoting process! Right now quoting for insurance online is very bloated and tedious. I aim to make it simpler. It’s important to highlight, though, that the quoting system is just a prototype right now, but will soon evolve into something I can integrate on Jack’s site. I worked with Simple as Milk again, so there was already familiarity and trust there. The interesting thing about Simple as Milk is that they are ‘nomads’, so over the course of my time working with them, they have probably lived in 3 or 4 different countries and time zones. It didn’t affect things, though, and communication was never an issue. They also really ‘get’ technology and had a lot of ideas for making the quote system current with the market I’m pursuing (freelancers), such as using Facebook integration to populate certain information. I think it’s important to choose a team who aren’t just concerned about billable hours, but are excited about the value the project can deliver. That’s Simple as Milk, and that’s why I continue to work with them. Q5. You also have an interest in programming – what lead you to wanting to learn how to code? How have you benefited from having knowledge of programming? Being a small business means it isn’t always financially feasible to delegate. Especially with something as expensive as development! My interest simply stemmed from having ideas and wanting to pursue them, but being constrained by a modest budget. It really helps to have a basic knowledge of programming, whether it means I can whip up tiny apps to drive traffic to my business, or add new pages to the site without roping in a developer to do it for me. Ultimately, it gives me a lot of freedom to do what I want with my business. If only I had design chops, too! Q6. How do you plan to grow your insurance business? Good question. I’m terrible for planning ahead, but this year will be an interesting one for Jack. Basically, I plan on growing the business by making it as simple as possible to quote and buy insurance online. Firstly, this means educating my target market on why they need business insurance. Almost 75% of freelancers I surveyed don’t have business insurance because they don’t know how it benefits them. Next, it involves implementing a simple quoting system—such as the one Simple as Milk are working on—and not being constrained by technology or legacy code like other insurers. I want to strip away as many of the hurdles as possible. In fact, earlier today I had to get an insurance quote for my house and gave up out of frustration. It just shouldn’t be that way. It doesn’t have to be that way. Q7. In addition to your insurance business, you’re also a photographer. How did you become involved in this, and what type of jobs have your worked on. Photography was just a hobby that naturally progressed into a side career. A few years ago, when I first got into photography and lived in a small village, I offered to take photos for the local news site in my spare time. I mostly do weddings, but I’ve also done a lot of work for the People Make Glasgow campaign. I’ve gotten a lot more selective about work I do take on, but ultimately I enjoy photographing anything that involves people. Q8. How do you attract clients for your photography business? Because it’s a side business, I don’t spend any money or time on marketing. I’ve let my photography business grow organically over the years, so now much of the work I get is through word of mouth or from sharing my photos online. Personally, I’ve found the key to getting a consistent stream of jobs is to stay active with photography in my spare time and take photos for fun. Taking photos for fun means I’m keeping myself visible to the people who read my photo blog or like my Facebook page. If I stopped doing that, people would forget about me and I probably wouldn’t get booked for as much work. If you’re passionate about what you do, people want to work with you. Q9. How do you manage your time running your insurance business with your photography work? Photography is usually delegated to weekends, so I find it doesn’t overlap too much with insurance. It can mean—during busy months such as wedding season—I work 7 days a week, but I’m one of those folk who takes pleasure in working a lot! I’ll delegate my post-processing to evenings so it doesn’t eat into my ‘9-5’ job. Most of the time, they both work nicely together. I’m very lucky. Q10. 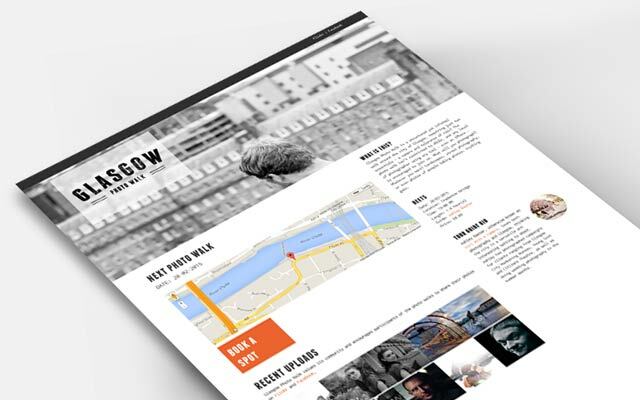 You also run photo walks, including one for your hometown Glasgow, for which you set up a website: http://glasgowphotowalk.co.uk . Why did you do this, and what benefits do you get from having a website for it? I find it difficult to learn things simply from reading the manual. I’m the type of person who learns best when I’m with people and see how they do things. In fact, I first learned to use my camera by going on photo walks with a fellow photographer, so I just wanted to offer that platform to other people. I wanted to bring together a group of people, whatever their skill level, and have fun taking photos. I think I’ve succeeded with that, Glasgow Photo Walk attracts a lovely community of photographers—hobbyists and professionals. Q11. You run a podcast called Working Out, with your co-host Paddy Donnelly, on which you discuss your own personal journeys in creating your passion-based businesses. Why did you start a podcast and what’s involved with creating it? I initially started it as a channel to promote Insurance by Jack and share what I’m learning while building the business. It’s turned into a bit more than that. I actually learn a lot about business by talking things over with Paddy. He gives good advice. It’s also a bit like therapy, having a place to discuss common frustrations in business with people who can relate. In terms of what’s involved with creating it, I’d say consistency! We’ve gotten into a routine of picking a topic and turning up every week to record. In fact, coming up with interesting content is probably the toughest part. Paddy does the editing, I push it live to the site. We make a good team! Q12. You also run a personal blog: http://iamashley.co.uk – Why did you decide to start a blog, and what advice would you give to someone who wishes to begin a blog of their own? Before I started my blog, I thought I had a ton of things to share. Then as soon as I built the site, I got ‘the fear’ and didn’t update much. I’m trying to get past that. My advice would be to just write for yourself. You can get bogged down in worrying that what you write will please everyone, but if you just write for yourself then what does it matter? That way it will be real, genuine, and I guarantee someone will find it interesting. Q13. 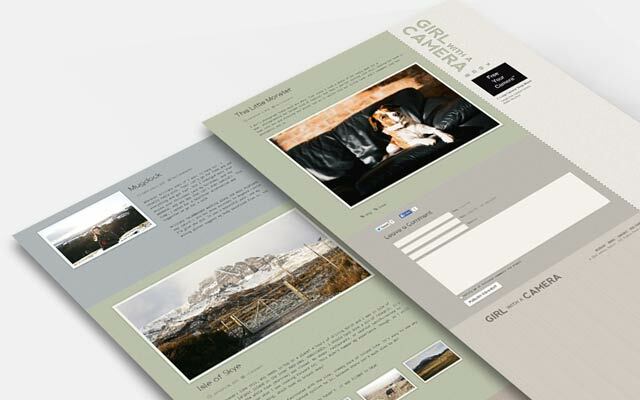 How hands on are you with creating & updating your websites? If it’s a personal site, such as my blog or podcast, I’ll build it myself with my limited front-end coding knowledge. Right now I’m really into Jekyll. For my business site, it’s worth investing in a team to make it as bulletproof as possible. Design is very important to me, and I just don’t have the flair for that, so I hire designers. As for updating, though, that’s all me. I keep the Jack blog updated weekly, and–unless I talk someone into writing a guest post for me—all the content is written by myself. Q14. Do you use Facebook, Twitter, Instagram, etc, to promote your websites? How successful has it been for you? Any advice on how people can use social media to promote their websites? I use all of them! Twitter definitely has the highest level of engagement for me, but I’ve recently tried to get into Instagram for business. This is interesting, because insurance is obviously a service—it’s not a tangible object that photographs well, yet I love photography so I’m trying to make the two work – http://instagram.com/insurancebyjack. I’m still figuring social media out, but I think it’s important to ask, “What goal do I want the reader to take away? What value do I want to provide?”. Steer clear of blatant self-promotion. Okay, the odd bit of blatant self-promotion can slip through, but ultimately try to find a pain your audience has and produce content that tackles that. Q15. What has been the most effective way to drive traffic to your websites? Social media, particularly Twitter. Even though the Insurance by Jack Twitter account only has 160-odd followers, I’ve used my personal Twitter account to give it a bit of leverage. It also helps when people share your content, so make the content you’re creating useful! After social media, my personal blog brings a decent number of traffic. Write about what you’re learning, share numbers. People like that stuff! Q16. Where does that drive to be your own boss come from? Why did you decide the life of a 9-5 employee was not for you? Because I inherited the business so young (I was 18), I’ve not experienced the normal 9-5 employee route. Well, aside from a brief stint in a call centre during college. I’ve had a really unconventional career, so I do worry that—if it ever came to me seeking employment—I’d be pretty unemployable. My skills are all over the place and I’ve never worked under anyone. I’m used to being my own boss and 100% in control of my daily routine and how it affects my income. I wouldn’t have it any other way. Q17. What’s involved with managing your websites? Describe your typical day. A lot of what I do involves writing content, which is weird as I don’t consider myself much of a writer. Every Tuesday I publish a blog post on Insurance by Jack. This means doing a lot of research into topics I think will interest freelancers and making a note of them on a Trello board. I’ve just launched an email course on surviving your first year as a freelancer, which has performed really well, so much of my time recently has been spent writing that and getting quotes from freelancers to include in it. 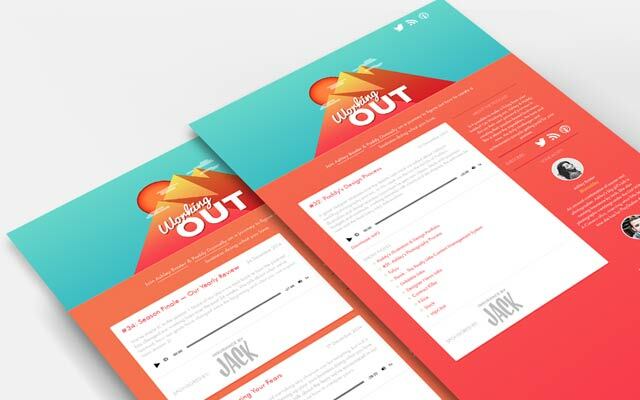 Today I’ll be putting Jack’s newsletter out, so I’ll be compiling that, and I’ll be making the free design mock-ups we offer editable, so people can drag and drop their own screen shots into it. Basically, lots of little jobs that hopefully bring a few more eyeballs to the Insurance by Jack site. Q18. What advice would you give to somebody thinking of starting their own business? I know it’s not always possible, but I’d recommend building the basis of a business whilst still in full-time employment. Get your first client when you still have the security of your 9-5 job, then grow it from there. Bootstrap, don’t get caught up in funding and loans. Love what you do, but realise it’s not always going to be fun. Don’t buy into the overnight success story, it took me 5 months before Insurance by Jack covered my mortgage. Q19. What are your plans/goals for the next 6 months? You’ve probably guessed by now, but implement a simple quoting and buying solution. That’s my no.1 goal. Beyond that, I’d love to create a community around Jack. 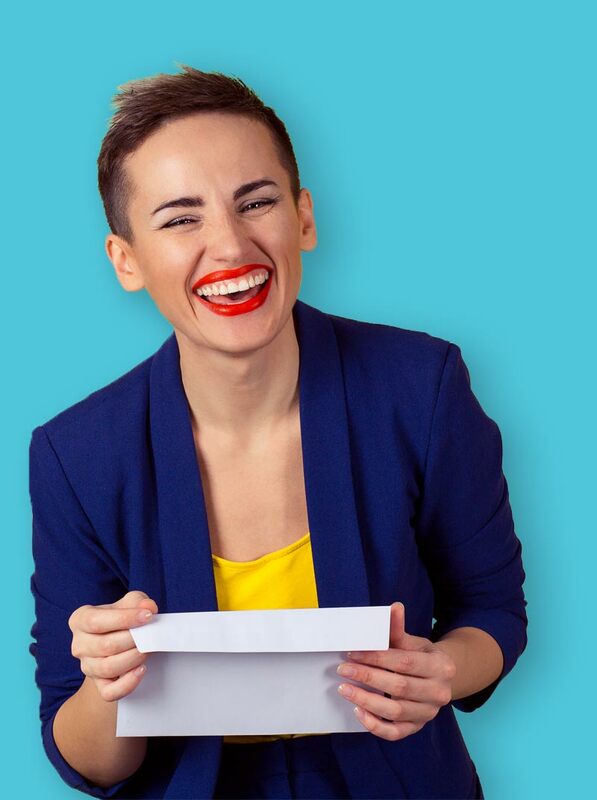 I sell business insurance to freelancers—wouldn’t it be great if all those freelancers shared advice, swapped stories and helped each other out with business? I think so. Thanks Ashley from everyone at Easyspace. Build a website with Easyspace today! Has Ashley inspired you to start your own business? Maybe she has encouraged you to set up a website of your own? If she has, then begin by searching for the domain name you want, then get some web hosting. Then you’ll be on your way to getting your website set up. With this in mind, Easyspace has created EasySiteLive PRO – a website builder product, to help get your website up and running in no time. Click here to try our new EasySiteLive PRO website builder for 21 Days Free of charge.